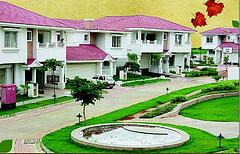 To boost the home sales, CREDAI NCR now plans to regulate the property dealers in the region. CREDAI NCR has asked the developers to provide salable and carpet area in the project- brochures. CREDAI NCR to regulate property dealers in the region. NEW DELHI: Confederation of Real Estate Developers Association of India, the apex body of real estate developers, has decided to regulate the property dealers in the Delhi-NCR region. For this purpose, CREDAI NCR Chapter has already asked its member developers to include both salable and carpet area in their brochures. The apex body of developers has been thinking over how to boost the home sales. The body found out that there are many scrupulous property dealers who sell the properties by providing misleading and wrong features. To control the property dealers, it has asked its members to include both salable and carpet areas. CREDAI NCR also plans to introduce lock-in-period for resale. It also plans to impose higher transfer charges as well. These measures are expected to impact on the property dealers. Moreover it will boost the sentiments of end users. Rajiv Gandhi Realty Excellence Awards 2010 were organized by Pehchan- nurturing the girl child. Pehchan is an NGO working towards the education of girl child since 2002. This award was introduced to honor the construction companies and builders who provide affordable houses to people. SVP Builder (I) Ltd., a real estate developer in Delhi-NCR secured the position of Best Regional Developer. Sunil Jindal, CEO, SVP Group was handed the award by Mr. Praveen Singh Aron, the Chief Guest of the ceremony. He is an MP from Bareilly and Member, Standing Committee on Urban Development in Parliament. Delhi Apartments Pvt. Ltd won award for Developer of the year. Supertech India Limited secured the place of Environment Friendly Project of the Year. Jaypee Greens has been awarded the Best Upcoming Integrated Township of the Year. Amrapali Group is the Developer of the Year – NCR /Noida. And finally, Raheja Developers Limited was privileged with the Life Time Achievement Award. Amrapali Group has announced plans to invest Rs.15,000 crore in coming 5 years to develop various projects across the country. It is also considering coming out with IPO within this financial year if the global market scenario improves. Amrapali group announced the launch of a 400-unit housing project in Ghaziabad with an investment of Rs.125 crore. Besides the National Capital Region, the group has presence in 27 cities.